In today's modern supermarket, it is very difficult to avoid packaged foods that are labeled as being "enriched." Indeed, just about the only sure way to avoid such adulterated food products is to purchase just fresh fruits and produce. To be fair, modern food processing has made a significant contribution to the wide dissemination of foods to populations that would otherwise have a great deal of difficulty in feeding themselves. However, as the evidence presented below will demonstrate, "enriched" foods are not only very depleted foods, they may well make significant toxic contributions to many of the people who eat them on a regular basis. A link at the end of this newsletter to a video clip will provide the most graphic evidence of this assertion. The nutrient content in food today can be highly variable. Modern food processing, which can involve canning, freezing, and/or the addition of multiple chemical substances that preserve food, uniformly leads to a final food product that is often severely lacking in vitamin, mineral, and other nutrient content. Such food processing, however, is critical in the delivery of food products to an ever-growing world population. Even if enough fresh foods were harvested on a daily basis to meet the world's daily needs, there exists no practical delivery system to get such foods distributed before they spoil and became inedible. Bearing in mind the above inherent limitations found in modern food processing, it should be obvious that any additional manipulations of different food products that further deplete nutrient content would be highly undesirable. Nevertheless, some of the most common foods eaten regularly throughout the United States and the rest of the world have been subjected to additional measures that reduce their nutritive value to very minimal levels. These foods are not only eaten regularly, they are eaten in a very high volume. This is very significant because the body has only so much appetite and hunger over a given 24-hour period. When depleted food is routinely ingested to satisfy one's normal hunger, vitamin, mineral, and other nutrient depletions and imbalances are sure to eventually ensue. Proper supplementation can counteract these inevitable imbalances and depletions, but it cannot completely compensate for eating food of poor nutrient quality in the first place. The premier depleted food today is flour. The grains used to produce white, refined flour have literally had the vast majority of its nutrient value deliberately stripped out of it. However, the food industry does not waste these stripped nutrients. Wheat germ and other nutrients deliberately removed from grains are utilized in helping to produce many of the wide variety of supplements available to us today. If you find yourself becoming a bit upset that such grains do not simply remain unstripped, you are certainly not alone. The term "enriched" is especially misleading when looking at the final product. Such a term readily invokes the impression and visceral response that any food that is deliberately enriched must truly be an especially good food to eat. In fact, so much is taken out of the grain products in the first place that the subsequent addition of some vitamins and minerals to those products barely mitigates their loss when they were initially removed from the grain. To use an analogy, if a robber takes the last ten dollars out of your wallet, you've definitely been acutely and totally depleted of your immediate financial resources. However, if that robber became suddenly sympathetic to your acute financial deficit and decided to return to you one dollar, it is not likely that you would consider yourself "enriched." Rather, you would just consider yourself a little bit less massively depleted of your money. And so it is with grains and modern food processing. Enrichment really only means slightly less massively depleted. What could be worse than depleting food and then "enriching" that food in the manner noted above? One thing that makes it much worse is when at least one of the added nutrients is really a non-nutrient, toxic additive. The iron that is added to many of our foods today is, in fact, a metallic form of iron. When you click on the link at the end of this newsletter, you will be able to see for yourself that METALLIC IRON FILINGS can be pulled out of a popular breakfast cereal with a strong magnet! Such iron filings have also been pulled out of a number of other "enriched" or "iron-fortified" foods. Iron, like any other nutrient, must be in a food-form, bioavailable state to be useful to the body. When it is not, it not only does little or no good, it can have its own direct toxicity. It defies all logic and common sense to think that grinding shavings off of a bar of iron onto your food, analogous to shredding cheese onto your Italian food, could be anything less than toxic. Yet that appears to be exactly the form of iron that is routinely added to many of the "enriched" food products that we eat today. Enriched white flour is used in very many different packaged foods. Nearly all conventionally prepared pastas, other flours, crackers, breads, foods with crusts, cereals, and many far less obvious white flour-containing foods have iron fortification. The only definitive way presently available that I know of to avoid this metallic iron infliction is to grind your own flour from unmolested grains, or buy organically produced foods. At least at the present, organic foods are seldom subjected to the addition of more vitamins, minerals, and nutrients. A few are, however, and you do need to become a diligent label reader. Buying organic also has the added benefit of avoiding the high fluoride content found in so many grain products fertilized with the traditional NPK, or nitrogen-phosphorus-potassium fertilizer. Remember, the most common fluoridation agent, hydrofluosilicic acid, is a by-product of the fertilizer industry. Little wonder, then, that traditional fertilizers can also add so much fluoride to the crops being fertilized. And if you think that fluoride in any dosage is good for you, you should consider scientifically researching this issue for yourself rather than just listening to opinions and editorials. Dr. Weston Price was able to show that refined white flour, in concert with refined sugar, was able to facilitate the emergence of a wide variety of medical diseases in the natives initially exposed to these foods. Furthermore, Dr. Price was also able to link the appearance of birth defects in only the first generation of children born to mothers who started eating white flour and refined sugar. 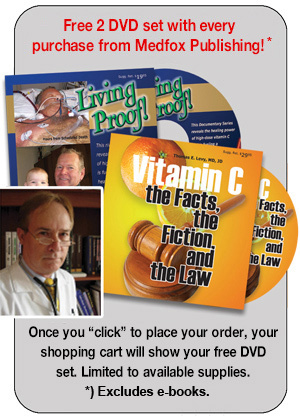 His findings are elegantly presented in his book, Nutrition and Physical Degeneration. Consuming a healthy variety of foods is not as easy a task as it may seem. Even eating nothing but fresh fruits and vegetables does not assure optimal nutrition, as many farm soils have become enormously depleted of many of the minerals and other nutrients that are normally present in soils that have not been repeatedly farmed over and over without attention to proper techniques of soil nutrient regeneration. Also, eating a healthy diet becomes an almost impossible task to achieve when there is a regular intake of processed, "enriched" foods. Essential nutrient levels in the body will progressively decline over time, and the appearance of multiple degenerative medical diseases will be facilitated. Finally, such "enriched" foods can have additives that are toxic rather than beneficial, although they are advertised as nutritive. Metallic iron filings as supplemental iron is but one glaring example. A visual demonstration of this fact can be seen by clicking on Video Clips. Price, W. (1989) Nutrition and Physical Degeneration. New Canaan, CT: Keats Publishing, Inc.